The Hunter Joint Organisation (HJO) Environment Division is working with our members to respond to their specific needs and is delivering a work program that assists each Council transition and understand their legislative requirements and obligations under the Biodiversity reforms. The Division have been working with the Office of Environment and Heritage (OEH) and Office of Local Government (OLG) to develop targeted Local Government support material and deliver targeted briefing sessions to assist Council Officers to implement the Biodiversity Reforms and enable them to undertake their role within the Biodiversity Conservation framework. The HJO Environment Division delivered the Regional Biodiversity Conservation Reforms Forum on 21 June 2018 which established a regional community of practice in the Hunter region for Council officers to connect, share knowledge and collaborate on biodiversity and vegetation management issues. The forum included updates from key state agencies and participation of attendees in two concurrent workshops. The workshops focused on Council regulation of clearing via Development Control Plans (DCPs) and the identification and establishment of biodiversity triggers and assessment for Part 5 Council activities. The Division has been actively working with the Office of Environment and Heritage (OEH) and Office of Local Government (OLG) to prepare a Council resource toolkit to support the delivery of targeted capacity building sessions to Councils. The toolkit will supplement existing Division Biodiversity Reforms Implementation support. The Division has been working with staff from OEH and other Regional Biodiversity Reforms Local Government Support Officers around NSW to design and deliver specialised capacity building targeted sessions for Councils. These aim to assist staff understand and comply with the range of new obligations and processes directly affecting their role arising from the reforms. Four (4) non-IDA member Councils were part of an initial trial of the materials completed during October 2018. This included Dungog, Singleton, Muswellbrook and Upper Hunter Councils. Materials were updated based on feedback from the trial sessions and were rolled out to six (6) Councils during November 2018 to January 2019. This included Central Coast, Mid Coast, Lake Macquarie, Newcastle, Maitland and Cessnock Councils. There are three (3) remaining Council targeted sessions scheduled during February 2019 at Lake Macquarie, Newcastle and Port Stephens. All targeted sessions are scheduled to be completed by the end of February 2019. A targeted Biocertification module was run by DPE/OEH on the 25 October 2018 for the six (6) Hunter IDA Councils (Central Coast, Cessnock, Lake Macquarie, Maitland, Newcastle and Port Stephens). The Division has been discussing with OEH/DPE on how this can be developed into a Regional targeted session for the remaining Councils in the region. Regular Biodiversity Reform Alerts have been sent out to Council officers since April 2018. To date, 19 Biodiversity Reform Alerts have been circulated to the Hunter LG Network. LG Support Network Bulletins are also developed for the LG Network as part of the Council resource kit. These have been released as part of the regular Biodiversity Reforms Alert – LG Support Network Updates. LG Support Network Bulletin No.2 – When Should Council notify OEH? Supplementary material has been developed by OEH and the Division to support the delivery of the targeted capacity building sessions and implementation of the Biodiversity Reforms by Council Officers. 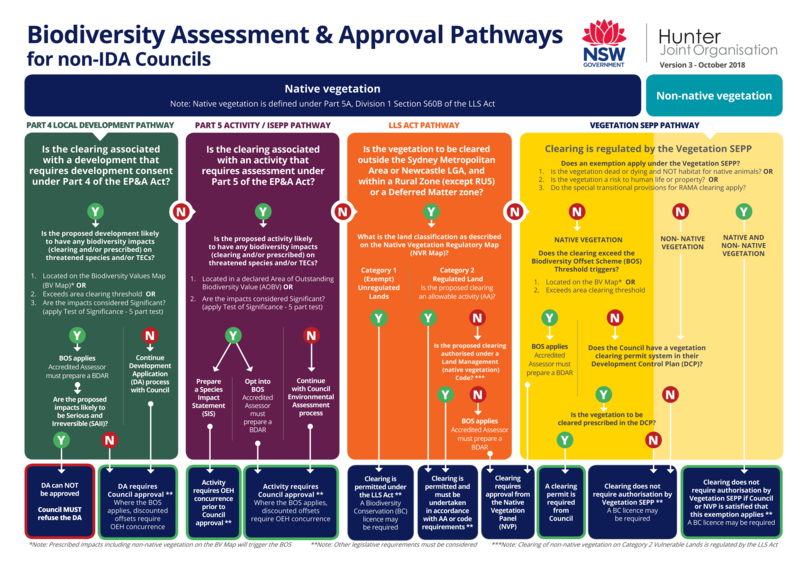 New more detailed Council flowcharts are currently being developed which will target each of the four-specific biodiversity assessment and approval pathways (Part 4, Part 5, LLS Act and Vegetation SEPP) identified in the summary Council Flowchart. These new flowcharts will form part of the supplementary material (#4 Part 4, #15 Part 5, #17 Vegetation SEPP and #20 LLS Act Guidance flowcharts) prepared for the Council Biodiversity Reforms resource toolkit. For specific information relating to your Council and the capacity building program, please contact the LG Hunter Regional Support Officer, Carlie McClung. The assessment and approval pathways for biodiversity impacts will depend upon the purpose, nature, location and extent of the vegetation clearing proposed. Is my Local Government Area located within an Interim Designated Area? Is the vegetation to be cleared native vegetation? What is the purpose of the vegetation clearing? Do my biodiversity impacts (clearing and/or prescribed) trigger the Biodiversity Offset Scheme? Are impacts considered Serious and Irreversible (SAII)? The Minister for the Environment declared seven additional local government areas, and part of one local government area, as Interim Designated Areas (IDA) in February 2018. Six (6) local government areas (LGAs) within the Central Coast and Lower Hunter Region were declared as at an IDA. This included Central Coast, Cessnock, Lake Macquarie, Maitland, Newcastle and Port Stephens. These transitional arrangements ceased within the Central Coast and Lower Hunter IDAs on 25 November 2018. From 25 November 2018, any new application for development consent or modification to an approved development under Part 4 of the Environmental Planning & Assessment Act 1979 (EP&A Act) (not including State Significant Development (SSD) lodged from this date will be subject to the biodiversity assessment requirements of the Biodiversity Conservation Act 2016 (BC Act). The previous transitional arrangements no longer apply. It is noted that while the transitional period has now ceased, the six declared IDA Councils will continue working with the Department of Planning and Environment (DPE) on the Strategic Biodiversity Certification (Biocertification) of the growth areas within their LGAs. The objectives of strategic biocertification is to manage conservation and development priorities at a regional scale, remove the need for site based assessment for local development within biocertified development areas, to improve certainty for planning authorities and landholders, and to avoid and minimise impacts on areas that have important biodiversity value and protect those areas. What is my approval pathway? This biodiversity assessment and approval pathways flow chart has been developed for our members and is applicable to all LGAs within the Hunter Region from 25 November 2018. Where development consent is NOT required (without consent) or is NOT associated with a development, clearing is defined by what zone you are in (unless you are located within the Newcastle LGA). If you are within a Rural Zone (or within ‘Deferred Matters’ zoned land), vegetation clearing is regulated under Local Land Services Act 2013 (LLS Act). Once you know which approval pathway you are in, the next step is to identify whether the proposed clearing is above or below the Biodiversity Offset Scheme threshold. Detailed Council flowcharts are currently being developed as part of the Council Biodiversity Reforms toolkit which will target each of the four-specific biodiversity assessment and approval pathways (Part 4, Part 5, LLS Act and Vegetation SEPP) identified in the summary Council Flowchart. 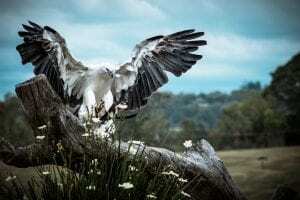 What is the Biodiversity Offset Scheme? The Biodiversity Offset Scheme threshold (BOS) Threshold is a test used to determine when is necessary to engage an accredited assessor to apply the Biodiversity Assessment Method (the BAM) to assess the impacts of a proposal. If clearing and other impacts exceeds the trigger thresholds, the BOS applies to the proposed development and a Biodiversity Development Assessment Report (BDAR) must be prepared and submitted with their application. The consent authority must consider the information in the BDAR when deciding whether to approve the development proposal and any appropriate conditions to mitigate the identified impacts. Proponents will need to supply evidence relating to the triggers for the Biodiversity Offsets Scheme Threshold and the test of significance (where relevant) when submitting their application to the consent authority. What are the triggers into the Biodiversity Offsets Scheme? Does the clearing exceed the BOS threshold? 1. IS THE PROPOSED CLEARING WITHIN (PARTIALLY OR WHOLLY) ON AN AREA MAPPED ON THE BIODIVERSITY VALUES MAP PUBLISHED BY THE MINISTER FOR THE ENVIRONMENT. PLEASE NOTE: This BOS trigger is relevant to the Part 4 Local Development and Vegetation SEPP Pathways. A review of the proposed area of clearing and whether it is located within land identified with high biodiversity values on the Biodiversity values map should be undertaken. If the proposed clearing is within an area identified of high biodiversity value (as shown in orange on the map), a biodiversity development assessment report (BDAR) must be prepared in accordance with the Biodiversity Assessment Method (BAM) by an accredited assessor. For local development (Part 4 of the Environmental Planning and Assessment Act 1979), the BDAR must accompanying the Development Application. For clearing not associated with a development (Vegetation SEPP), this triggers approval by the Native Vegetation Panel for the proposed clearing. NOTE 1 : The BOS may also apply to activities within the BVM not related to vegetation clearing defined as prescribed impacts under Clause 6.1 of the Biodiversity Conservation Regulation 2017 (BC Regulation). Clearing of non-native vegetation that is habitat for a threatened species is an example of a ‘prescribed impact’ which will trigger the BOS if the impact is located within the BV Map. NOTE 2: Declared Areas of Outstanding Biodiversity Value (AOBV) are included within the Biodiversity Values Map. There are currently no declared AOBVs within the Hunter Region. OEH has released a web page on the Biodiversity Values Map which provides update to date information on the Biodiversity Values Map including what is included on the map, the process for requesting an explanation report for a property and the map amendment history. Councils now can request an explanation report for the Biodiversity Values Map from OEH. This can include a request for a biodiversity explanation report for a property for which Councils have received a development or clearing application. If Council is interested in obtaining an explanation report for a property, please complete the BVER application form for Councils and send the request to the map review team at map.review@environment.nsw.gov.au. If you would like a copy of the Council application form, please contact Carlie McClung (Hunter LG Support Officer) at carliem@huntercouncils.com.au. 2. DOES MY PROPOSED CLEARING TRIGGER THE AREA CLEARING THRESHOLD? The area threshold applies to all proposed native vegetation clearing associated with a proposal, regardless of whether this clearing is across multiple lots. In the case of a subdivision, the proposed clearing must include all future clearing likely to be required for the intended use of the land after it is subdivided. The area threshold varies depending on the minimum lot size. The minimum lot size is based on the Lot Size maps under your Councils Local Environmental Plan (LEP), or is the actual lot size where there is no minimum lot size specified for the land under the LEP. If the proposed clearing is above the clearing threshold for your minimum lot size (as specified in the table), a biodiversity development assessment report (BDAR) must be prepared in accordance with the Biodiversity Assessment Method (BAM) by an accredited assessor. PLEASE NOTE: This BOS trigger is relevant to the Part 4 Local Development and Part 5 Council Activity Pathways. The threatened species ‘test of significance’ (5 part test) is used to determine if a development or activity is likely to significantly affect threatened species or ecological communities, or their habitats. It is applied as part of the Biodiversity Offsets Scheme (BOS) entry requirements for Part 4 local developments and for Part 5 activities under the Environmental Planning and Assessment Act 1979. Threatened Species Test of Significance Guidelines are now available to help applicants or proponents of a development or activity to interpret and apply the factors of the test of significance. If the ‘test of significance’ assessment indicates that there will be a significant impact, the proposal triggers the BOS and the proponent must carry out a BAM assessment. The outcomes of the assessment should be included in the Biodiversity Development Assessment Report (BDAR) and must be provided to the consent authority. The environmental impact of proposals that do not exceed the Biodiversity Offset Scheme Threshold and have been assessed to not have a significant impact on threatened species will continue to be assessed under Section 4.15 (formerly Section 79C) of Environmental Planning and Assessment Act 1979. 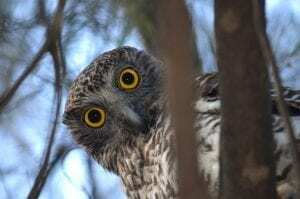 The ‘test of significance’ must be applied to determine whether the proposed activity is likely to significantly affect threatened species or ecological communities, or their habitats. If the activity is likely to have a significant impact, or will be carried out in a declared area of outstanding biodiversity value, the proponent must either apply the Biodiversity Offsets Scheme or prepare a species impact statement (SIS). You can find out more information on the assessing biodiversity impacts of Part 5 activities and transitional arrangements on the OEH webpage. OEH published a new version of the BV Map (Version 3) on the 9 November 2018. The BV Map can be viewed on-line through the Biodiversity Values Map and Threshold tool (BMAT). This replaces the old BV Map viewer and Biodiversity Offset Scheme Entry Tool (BOSET). Changes arising from landholder-initiated reviews. The BMAT tool is an on-line tool available to assist developers, landholders and consent authorities determine whether the proposed clearing will be above or below the area thresholds or lies within an area mapped as having high biodiversity value. The tool generates a report that should be supplied as evidence with a development application or vegetation clearing permit application to identify whether the proposed clearing (or prescribed impacts) are within an area on the Biodiversity Values Map. A BMAT user guide has been developed by OEH for this tool. The Biodiversity Offsets Scheme (BOS) recognises that there are some impacts that the community expects will NOT occur. The concept of Serious and Irreversible Impacts (SAII) is fundamentally about protecting threatened entities that are most at risk of extinction from potential development. The principles for determining serious and irreversible impacts are detailed in the OEH SAII guidance document which provides guidance, criteria and lists of SAII candidates. The most current list of SAII candidates and triggers should be referenced from the NSW BioNet. Council is responsible for deciding whether there is a serious and irreversible impact from a proposed local development (Part 4 of the Environmental Planning and Assessment Act 1979 (EP&A Act)) or Council activity (Part 5 of the EP&A Act). Council may want to consider developing a Council process for review and determination of local developments and/or Council activities likely to have a SAII. Council MUST refuse a Part 4 local development where a Serious and Irreversible Impact (SAII) is identified. BOS thresholds – What evidence do i need include with my DA? Development applications will require the following evidence submitted to demonstrate that the BOS Thresholds (BV Map, Area Clearing Threshold and Test of Significance) do NOT apply to a proposed development. The Test of Significance (ToS) must be submitted with relevant supporting ecological documentation for the site. The ToS must be applied by an appropriately qualified person with relevant technical expertise and knowledge of the threatened species and their habitat and/or ecological community that have been identified as likely to be impacted by the proposed development. 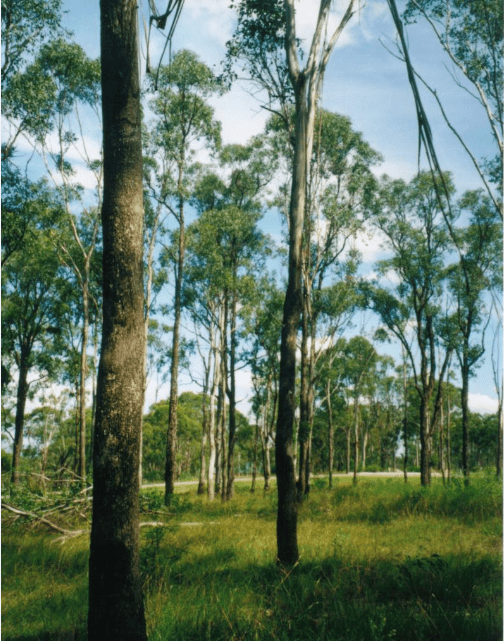 If vegetation clearing is not associated with a development consent or an activity, the approval pathway is defined by the zoning of the land (except for land within the Newcastle LGA). Within some LGAs, there are areas of land that have not yet been classified under the Council Local Environmental Plan (LEP) due to certain planning circumstances. These lands are referred to as ‘Deferred Matter’ (DM) on the LEP map entitled ‘Land Application’. If your property is identified within ‘Deferred Matter’ zoned lands, then any proposed development on that land will continue to be controlled and guided by the relevant LEP and Development Control Plan (DCP) that applied to the land prior to the implementation of new LEP. For vegetation clearing not associated with development consent, the ‘Deferred Matter’ zoning applies to the land and is regulated by Part 5A of the Local Land Services Act 2013 (LLS Act). 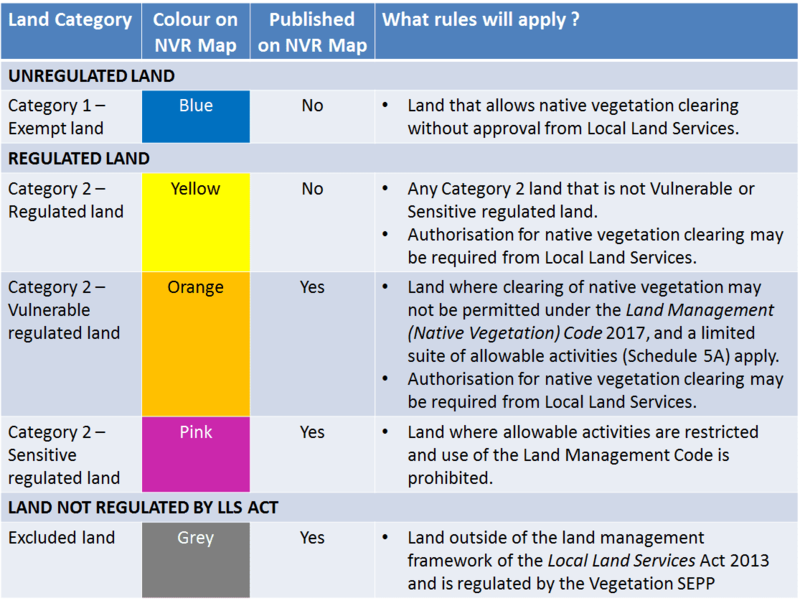 As a result, any deferred matter land will be identified on the Native Vegetation Regulatory Map under the LLS Act and categorised according to the map method. This includes land that is not rural in character such as urban, environmental conservation or environmental management zones. Advice should be sought from Local Land Services (LLS) for any clearing proposed on land within this zoning. For additional information on vegetation clearing within ‘Deferred Matter’ zoned lands refer to the following section for ‘Rural Land’. Advice should be sought from Local Land Services (LLS) for any clearing proposed on land within these zonings. If your property is located within Category 2 – regulated land, you will need to identify which Allowable Activity zone (as defined under Schedule 5A, Part 1, 3(a) of the LLS Act) your Council is located in. The type of activities and applicable rules within Category 2 – Regulated lands are provided in the following summary table. A summary of the land categories and what rules apply is provided in the table below. Advice should be sought from your local Council for any clearing proposed on land within these zonings. The Vegetation SEPP applies to the whole Newcastle LGA. If your Council adopted Clause 5.9(9) of the LEP prior to the enactment of the Vegetation SEPP, the Special Transitional provisions (specified in Part 5, Clause 27) for the use of existing allowable Native Vegetation Act 2003 (NV Act) clearing within R5, E2, E3 and E4 zones does not apply to the LGA. The special transitional arrangements under the Vegetation SEPP (State Environmental Planning Policy (Vegetation in Non-Rural Areas)) have been extended for an additional year from 25 August 2018 until 25 August 2019. This extension continues only to apply to Councils in the Hunter and Central Coast Region that had not adopted Clause 5.9(9) of their LEP, are located within R5, E2, E3 and E4 zones and if the predominant use of the land is for agriculture. Note: applies only within the former LGA boundaries of Greater Taree and Gloucester. Does NOT apply to the former LGA boundary of Great Lakes. Even though authority may not be required under the State Environmental Planning Policy – Vegetation in Non-Rural Areas (Vegetation SEPP) or Local Land Services Act 2013 (LLS Act), to avoid committing an offence under the Biodiversity Conservation Act 2016 (BC Act), a Threatened species licence, a class of biodiversity conservation licence under Part 2 of the Biodiversity Conservation Act 2016 (BC Act) may still be required from the Office of Environment and Heritage (OEH). cause harm to an animal that is a threatened species, part of a threatened ecological community or a protected animal. requirement for ecological advice including an assessment of significance for impacts on matters of National Environmental Significance (MNES) under the Commonwealth Environmental Protection and Biodiversity Conservation Act 1999 (EPBC Act). A summary of key information links based on frequently asked questions has been compiled to assist Councils readily accessing information relating to implementation of the new biodiversity conservation reforms in the Local Government context. This information will be regularly reviewed and updated by the LG Hunter RSO to add any new links as required and/or requested by Councils within the region. What is considered native vegetation? 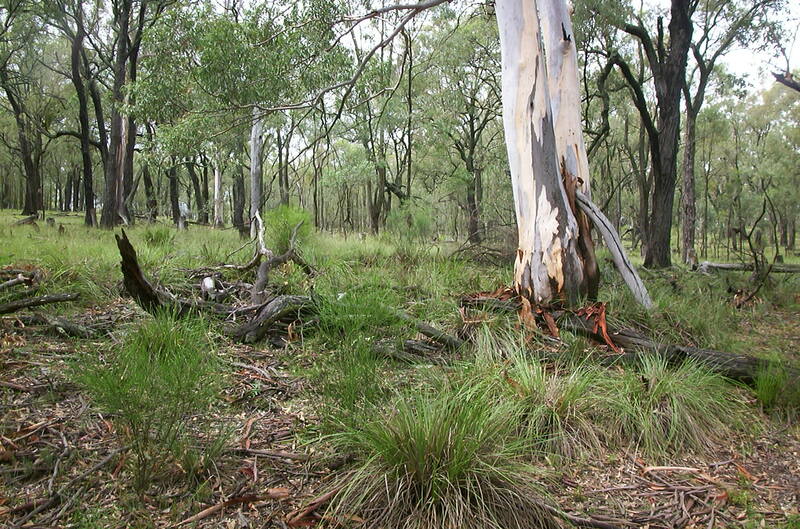 Native vegetation is defined under Part 5A, Division 1 Section 60B of the Local Land Services Act 2013 (LLS Act). What is the definition of vegetation clearing? Clearing is defined under both the Local Land Services Act 2013 (LLS Act) and State Environmental Planning Policy (Vegetation in Non-Rural Areas) 2017 (Vegetation SEPP). The definition used will be dependent on the biodiversity assessment and approval pathway. Vegetation clearing is defined under Part 5A, Division 1 Section 60C of the Local Land Services Act 2013 (LLS Act). Does my development fall within a Local Government Area located within Interim Designated Area? These transitional arrangements have now ceased within the Central Coast and Lower Hunter IDAs from 25 November 2018. From 25 November 2018, any new application for development consent or modification to an approved development under Part 4 of the Environmental Planning & Assessment Act 1979 (EP&A Act) (not including State Significant Development (SSD) lodged from this date will be subject to the biodiversity assessment requirements of the Biodiversity Conservation Act 2016 (BC Act), and transitional arrangements no longer apply. Transitional arrangements ceased on 25 November 2018., From that time any new application for development consent or modification to an approved development under Part 4 of the Environmental Planning & Assessment Act 1979 (EP&A Act) (not including State Significant Development (SSD) is subject to the biodiversity assessment requirements of the Biodiversity Conservation Act 2016 (BC Act), and transitional arrangements no longer apply. As a consequence, the biodiversity assessment requirements of the BC Act now apply to all local government areas (LGAs) within the Central Coast and Hunter Region. You will need to submit a development application (DA) with your local council. The clearing will be assessed as part of this application. Refer to your local Councils website for more details. You will need to identify whether your clearing exceeds the Biodiversity Offset Scheme thresholds. If your development does NOT exceed the BOS threshold, you will be required to provide evidence with your DA to demonstrate that the BOS Thresholds (BV Map, Area Clearing Threshold and Test of Significance) do NOT apply to your proposed development. Does my vegetation clearing trigger the Biodiversity Conservation Act 2016? The Biodiversity Offsets Scheme (BOS) Threshold is a test used to determine when is necessary to engage an accredited assessor to apply the Biodiversity Assessment Method (the BAM) to assess the impacts of vegetation clearing. What is the biodiversity values map and where to view it? One of the Biodiversity Offsets Scheme (BOS) threshold triggers is whether the proposed impacts occur on an area mapped on the Biodiversity Values map published by the Minister for the Environment. The map can be viewed from the Biodiversity Values Map and Threshold tool (BMAT). Is there a reporting tool that can assist in identifying whether my proposed clearing triggers the BOS? OEH published a new version of the Biodiversity Values Map (BV Map) (Version 3) on the 9 November 2018. The tool generates a report that should be can be supplied as evidence with a development application or vegetation clearing permit application to identify whether the proposed clearing (or prescribed impacts) are within an area on the Biodiversity Values Map. A BMAT user guide BOSET user guide (PDF 376KB) has been developed by OEH for this tool. The State Environmental Planning Policy – Vegetation in Non-Rural Areas (Vegetation SEPP) regulates the management of vegetation on non-rural land. What is the Native Vegetation Regulatory map and where to view it? A Native Vegetation Regulatory (NVR) Map has been developed and identifies rural land that is regulated under the new land management framework. Landholders can view the categories of vegetation as depicted on the regulatory map for their property. The Biodiversity Conservation Act 2016 (BC Act), together with the Biodiversity Conservation Regulation 2017 (BC Regulation), outlines the framework for addressing impacts on biodiversity from development and clearing. It establishes a framework to avoid, minimise and offset impacts on biodiversity from development through the Biodiversity Offsets Scheme (BOS). The BOS creates a transparent, consistent and scientifically based approach to biodiversity assessment and offsetting for all types of development that are likely to have a significant impact on biodiversity. It also establishes biodiversity stewardship agreements, which are voluntary in-perpetuity agreements entered into by landholders, to secure offset sites. The Biodiversity Conservation Act 2016 (BC Act) gives the Minister for the Environment the power to declare areas of outstanding biodiversity value (AOBVs). AOBVs are special areas that contain irreplaceable biodiversity values that are important to the whole of NSW, Australia or globally. The Biodiversity Conservation Act 2016 (BC Act) has modernised the process for listing threatened plants and animals. It aligns threat categories with international best practice and provides greater coordination between Australian jurisdictions. The Biodiversity Conservation Regulation 2017 (BC Regulation) prescribes listing criteria for threatened plants and animals which align with standards developed by the International Union for Conservation of Nature (IUCN). The Biodiversity Conservation Act 2016 (BC Act) establishes a new NSW Biodiversity Conservation Trust (BCT), which oversees the new Private Land Conservation program across NSW and also has a key role in the new Biodiversity Offsets Scheme. 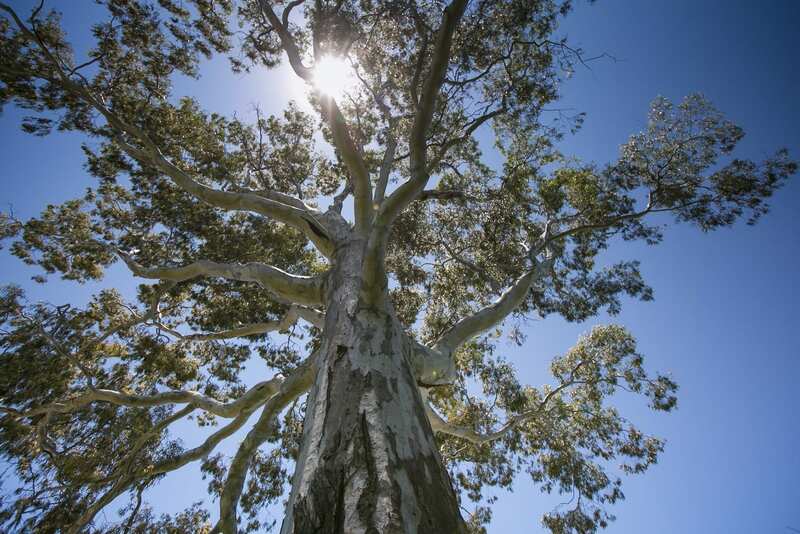 The NSW BCT manages and delivers private land conservation across NSW with the aim of maintaining a healthy, productive and resilient environment for the community, now and into the future. Who is my Local Government Regional Support Officer? OEH has entered into partnerships with 8 local government organisations support regionally based officers to provide help desk support and capacity build Councils to transition into the Biodiversity Conservation Reforms. In the Hunter region, the Hunter Joint Organisation of Councils (Hunter Councils) is hosting this position. In conjunction with training provider Muddy Boots, OEH has developed a training package tailored to the needs of those with an approval role under the Biodiversity Conservation Act 2016 (BC Act). Training for local government staff will be available in two formats. A Standard Approvers course is available over one day. An Extended Approvers course will include the Standard Approvers course (Day 1) and a more in-depth training on biodiversity assessment processes and the operation of the Biodiversity Offset Scheme (Day 2). The Biodiversity Offsets Scheme (BOS) is a framework to avoid, minimise and offset impacts on biodiversity from development and clearing, and to ensure land that is used to offset impacts is secured in-perpetuity. Landholders who establish a biodiversity stewardship site on their land, generating credits to sell to developers or landholders who require those credits, to securely offset activities at other sites. The Offsets Payment Calculator is an interactive tool designed to determine how much a developer must pay into the Biodiversity Conservation Fund (BCF) to satisfy an offset obligation, if they opt to do so as an alternative to obtaining and retiring credits. The primary aim of the calculator is to provide a price that accurately predicts the costs that the Trust will incur in securing each type of biodiversity credit as an offset. The concept of serious and irreversible impacts (SAII) is fundamentally about protecting threatened entities that are most at risk of extinction from potential development. The Biodiversity Offsets Scheme (BOS) recognises that there are some types of SAIIs that the community expects will not occur except where the consent authority considers that this type of impact is outweighed by the social and economic benefits that the development will deliver to the State. OEH is asking all decision makers to notify the Land Management and Biodiversity Conservation (LMBC) Service Centre of the determination of every development or activity to which the Biodiversity Offsets Scheme (BOS) applies. Decision makers include local councils, Part 5 authorities and the Native Vegetation Panel. Biodiversity certification is a streamlined biodiversity assessment process for areas of land that are proposed for development. The process identifies areas that can be developed after they are certified and measures to offset the impacts of development.